Posted by David Wilson in General. I have received reports that the Satsuma Missile Launcher is working with my USB Missile Launcher software. 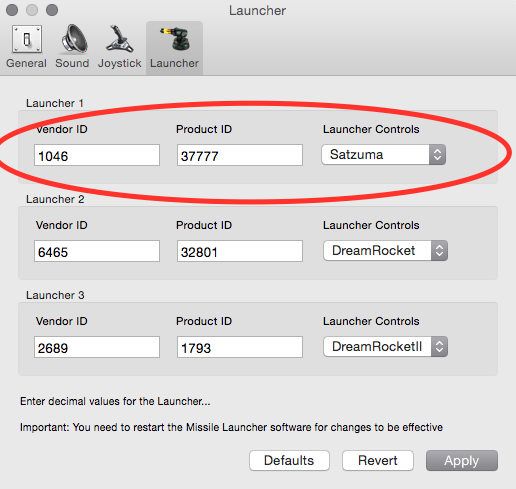 And you will need to do some configuration to tell the software how to find the launcher and control it. Thank you to those that have contributed via comments here with the results.